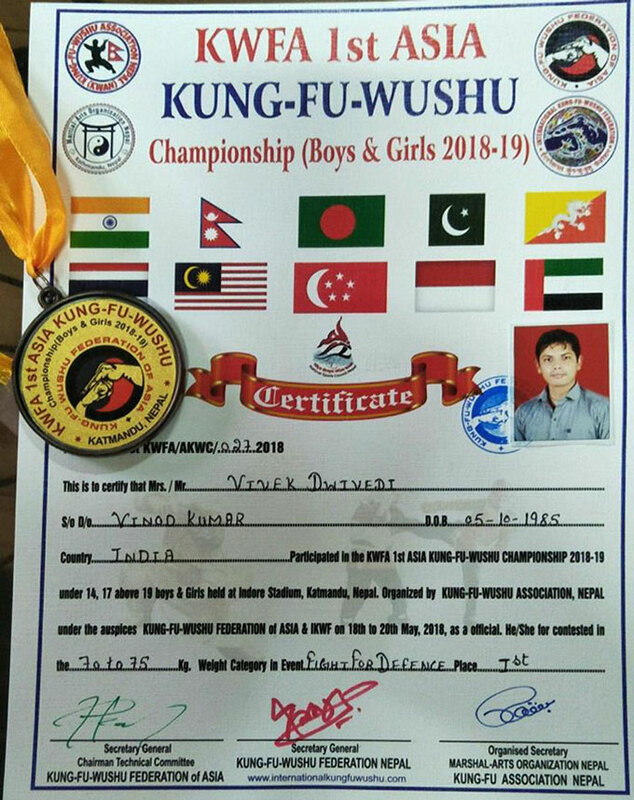 Our Junior College faculty for Maths Mr. Vivek Dwivedi, participated and represented INDIA at Asia Kung Fu Wushu Championship held at Kathmandu, Nepal from 18th to 20th May, 2018 by International Kung Fu Wushu federation and Kung Fu Wushu federation of Asia. 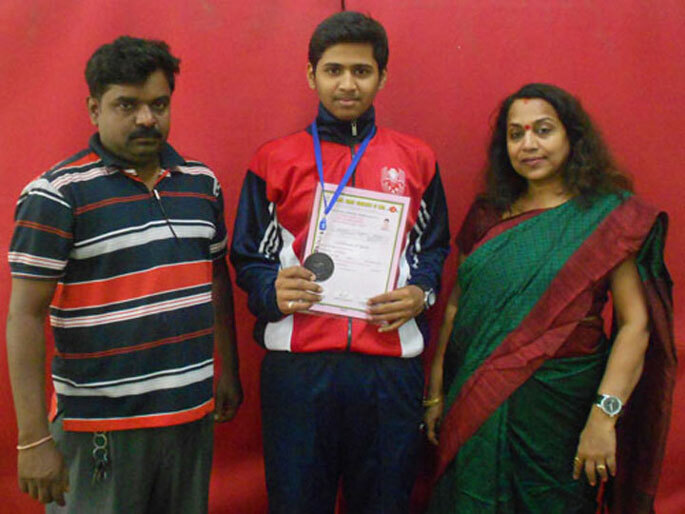 He won Gold Medal by defeating fighter from Bangladesh in the final fight. More than 10 countries participated in the competition. 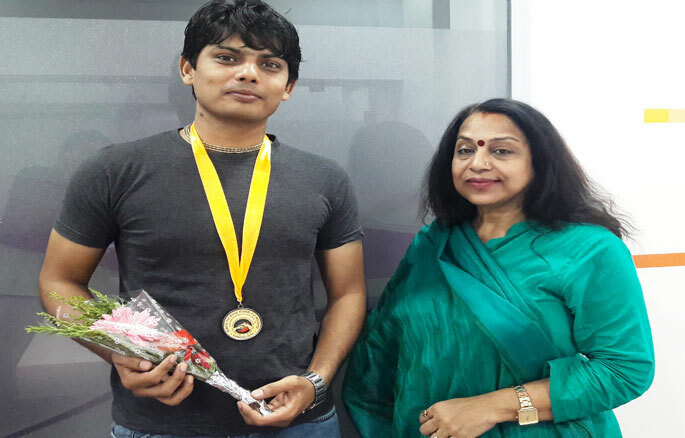 We congratulate Mr. Vivek Dwivedi for his proud achievement at international tournament. Ms. Sonal Laxman Shewale, the P.T. 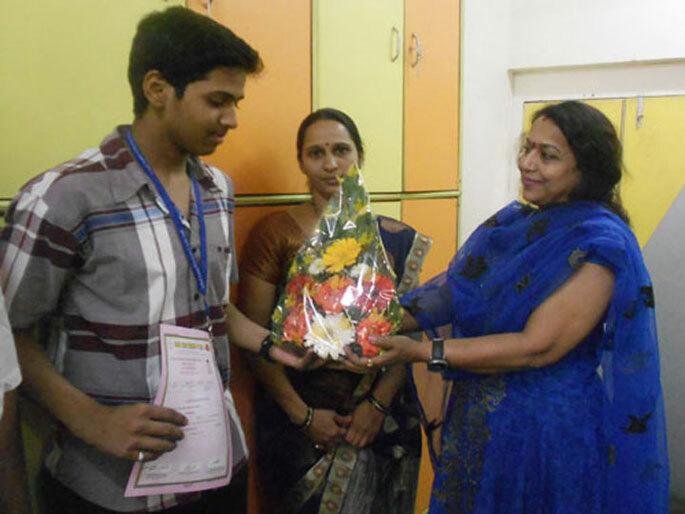 teacher was awarded the Gold Medal as a contestant in the All Maharashtra Wushu association organised by all Nanded Dist. Wushu association 15th Senior State Wushu Championship 2017-18 on 18th to 21st August, 2017 at Guru Govind Singhji Stadium, Nanded. Miss. 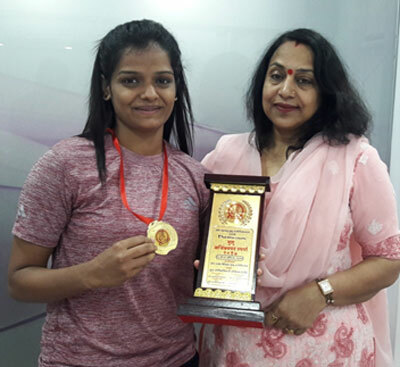 Pratiksha Sekhar student of Mahatma School of Academics and Sports (Marathi Medium) won Bronze Medal at Maharashtra State School Wushu Championship. 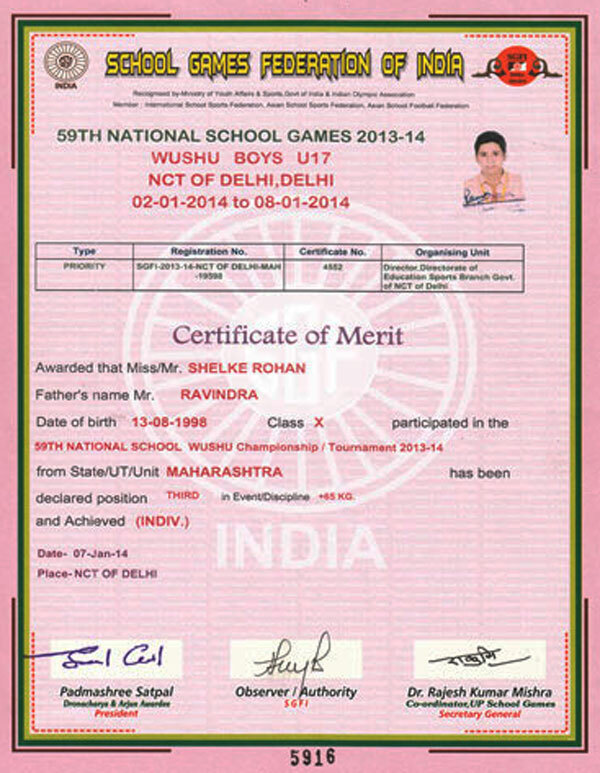 Master Rohan Ravindra Shelke won Bronze Medal in the 59th National School Games 2013–14. 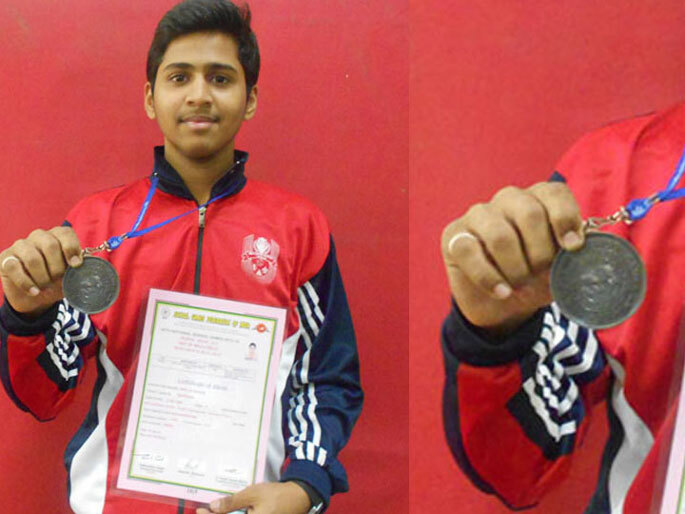 Wushu (Martial Arts), NCT of Delhi held at Delhi from 2nd to 8th January, 2014.